Miss Vanessa Flatness joined the New Way team in 2009. 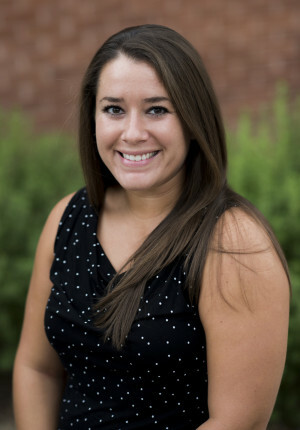 She grew up in the small town of Norwalk, Iowa and attended college at the University of Northern Iowa, majoring in Elementary Education with a minor in Coaching. She began her journey at New Way as a homeroom teacher, before becoming a Reading Specialist. Miss Flatness teaches dedicated students to read using the Wilson Reading System. She became Level II certified in the Wilson program in 2015. Out of the classroom, she is an assistant High School soccer and cheer coach. Miss Flatness enjoys supporting New Way students at sporting events and concerts. Miss Flatness loves to visit her family in Iowa any chance she gets. She adopted her new best friend, Dillon, a lazy cuddly dog, in 2015. In her spare time, Miss Flatness enjoys spending time with family and friends, hiking, eating her favorite food (corn!) and watching movies.